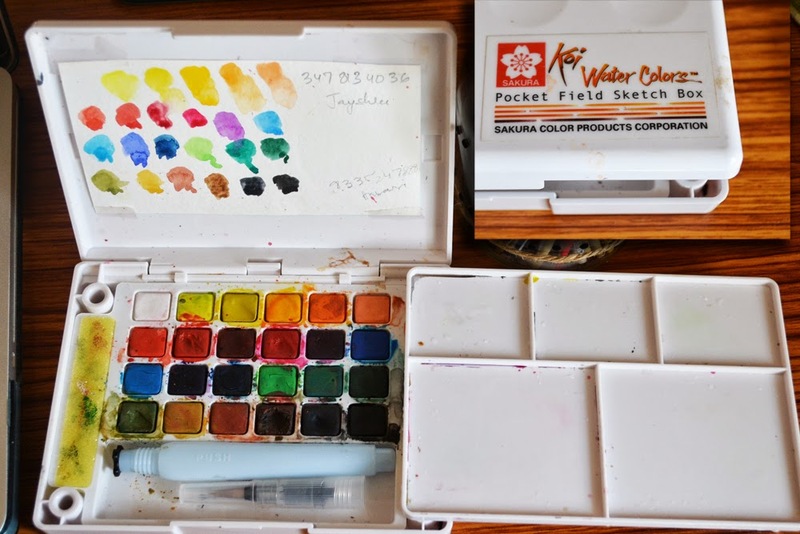 Ok, before I begin, these days I am using Koi Watercolors (of Sakura brand) Field box set of pans. I find these pan watercolors more long lasting than the tubes, because they dont tend to dry up, which is what happens to most of my tube watercolors, if I dont use them for sometime. And I am moody, sometimes I am in a frenzy of oils- and I dont touch watercolors for like months, or sometimes I get too much of digital free-lance work load, and my watercolor tubes lie forgotten and dry up! So for temperamental people like me- I think these pan sets work well. and for YOU guys, I did my homework- its available on Flipkart here in India! 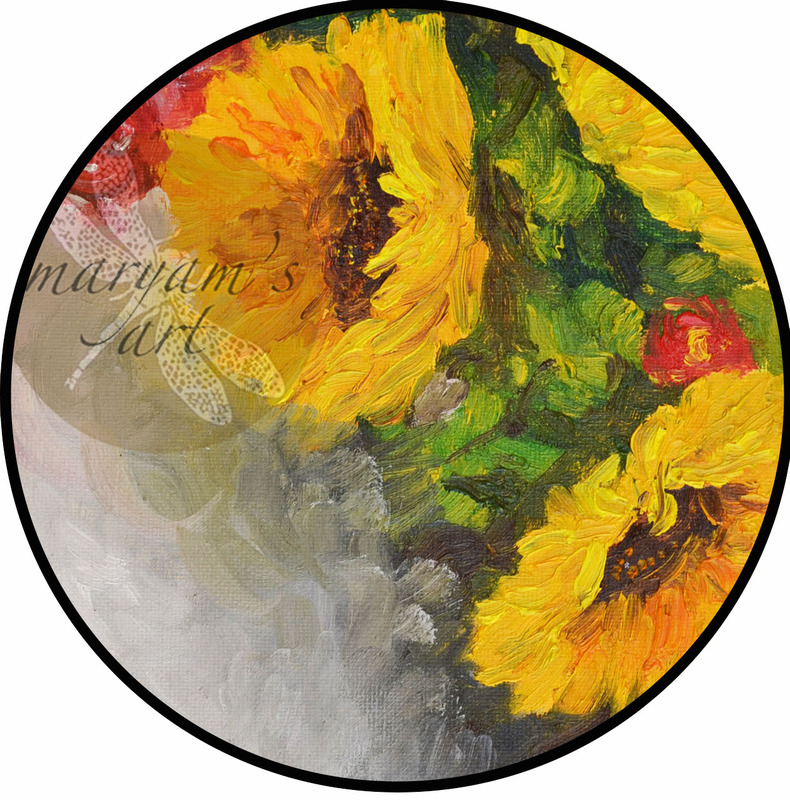 But you can please go ahead and use whatever watercolors are available in your neck of woods! 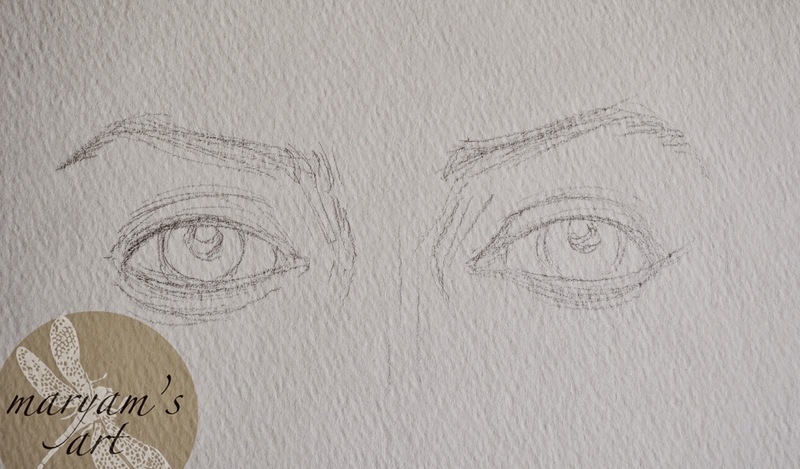 please sketch in the eyes in simple lines- like shown here, with a very light pencil. 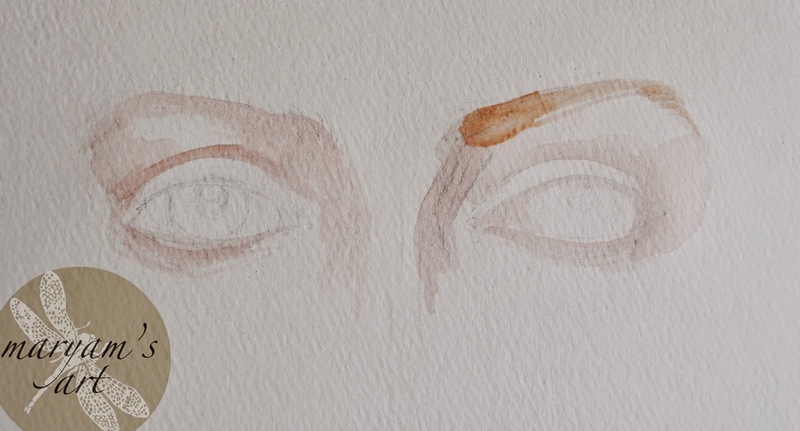 put in a slight wash of wet diluted color of (mix of vermilion and burnt sienna with a hint of blue) on the shadows of the eye. Apply the same kind of wash on the other eye as well. 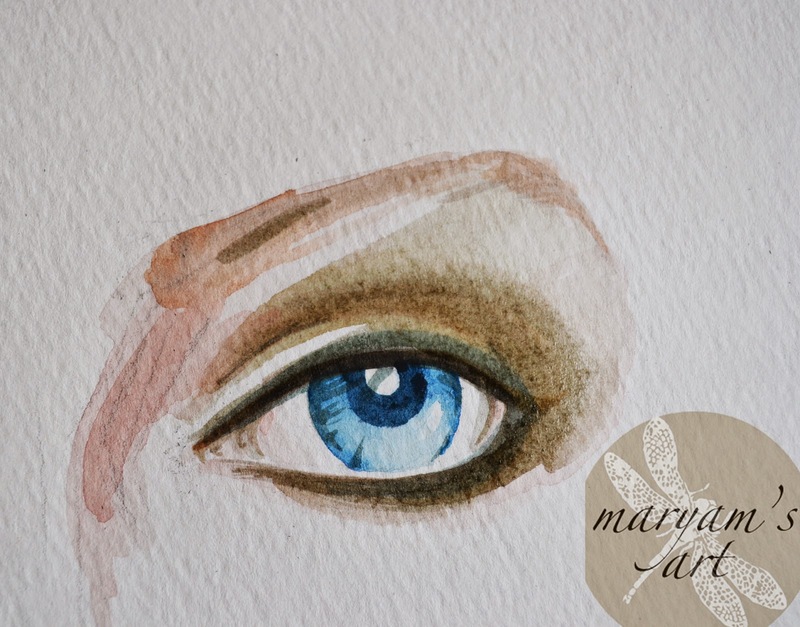 Add a darker shade of the color on the eyebrow. 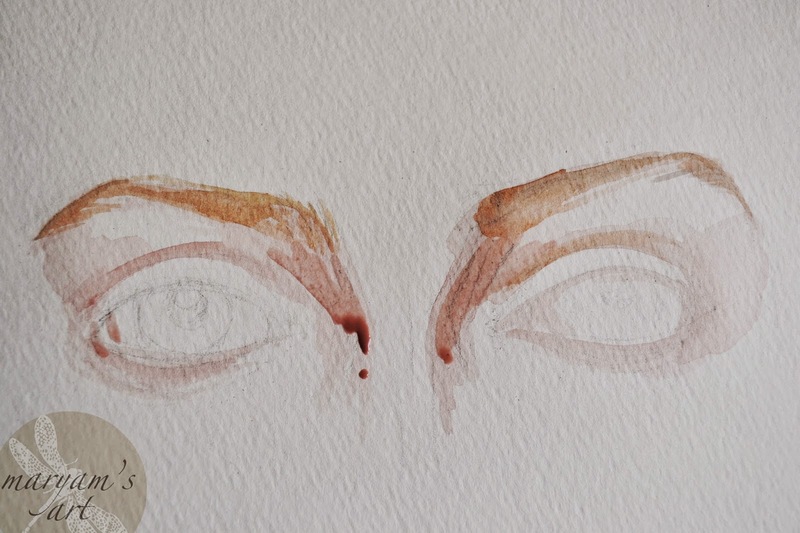 Darken the eyebrows with a little more of the burnt sienna in the skin color mix- blend a little. 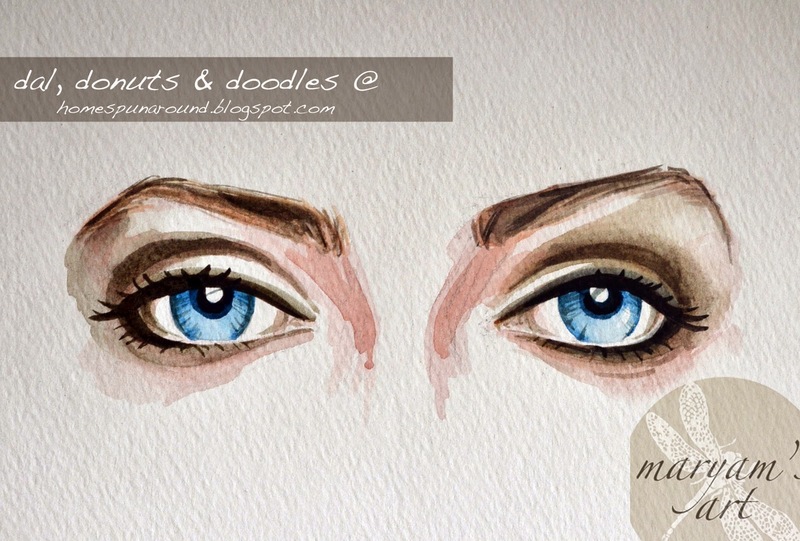 -Add deeper shadows in the eye socket. 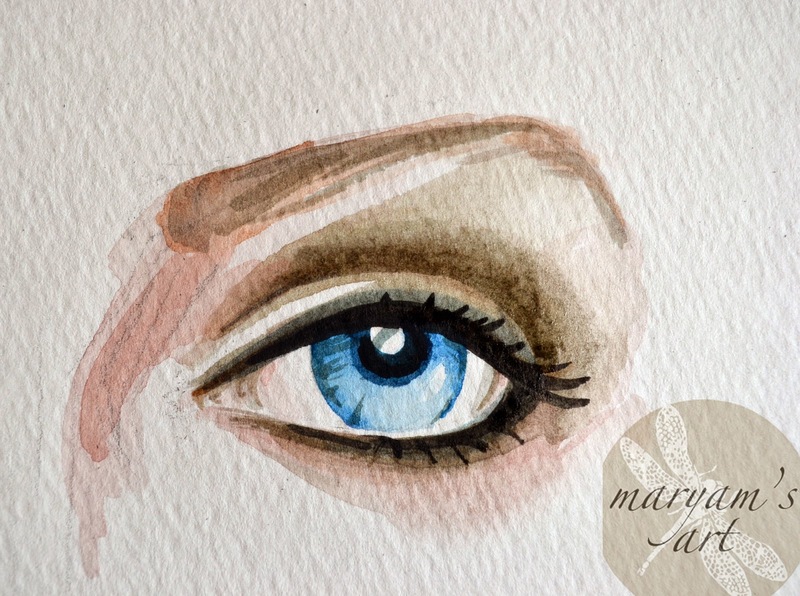 Add a soft wash of blue in the eyeballs- leaving a little round dots in the centre blank- like shown. While the blue wash is still wet- blend in the darker shade of blue leaving areas where its light like shown below. 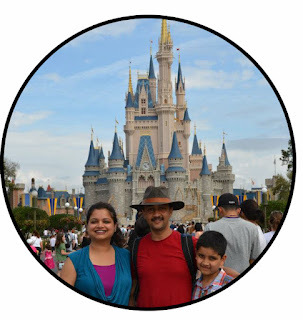 Add a darker blackish-blue circle around the little dots left blank. 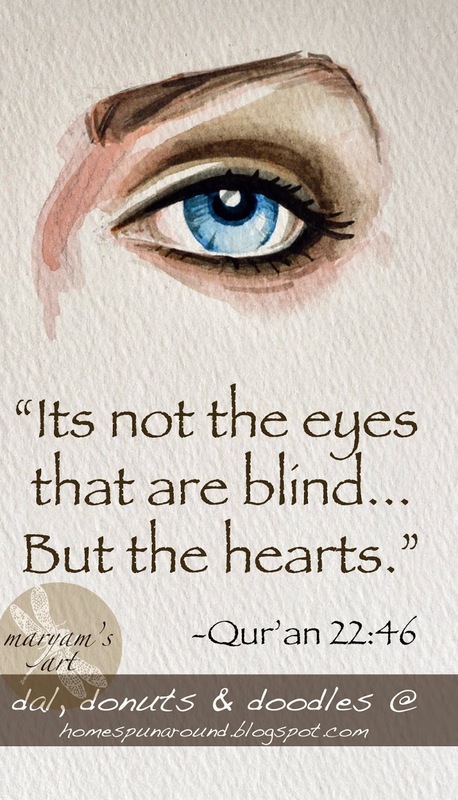 Here we go in a little closer and we work on one eye. 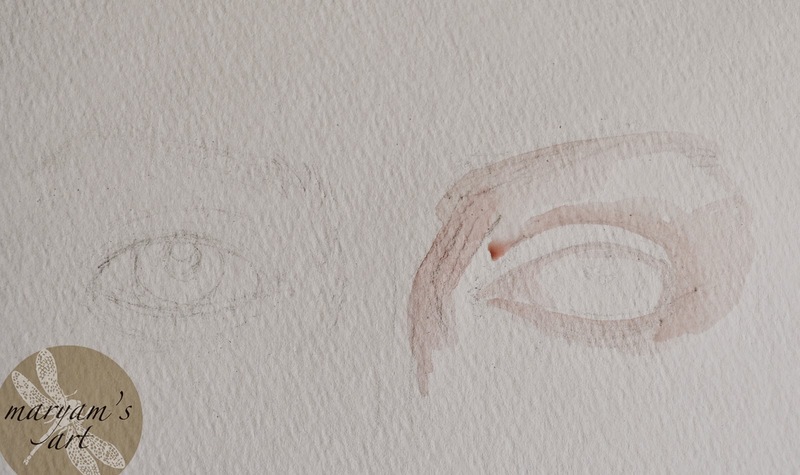 Mix a little black with burnt sienna and carefully draw a smooth line across the eyelid- much like an eyeliner. 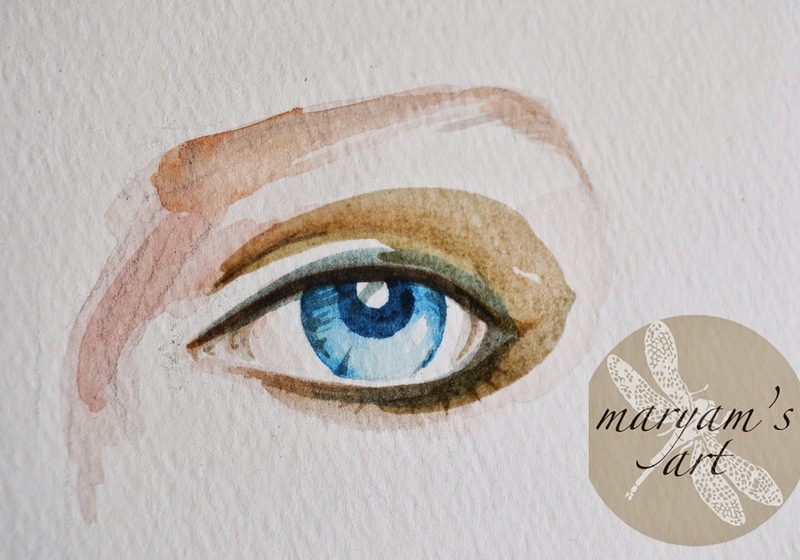 Taek a watery wash of the above color- (dark shade of brown) and give a wash under the eye, as well some soft lashes. 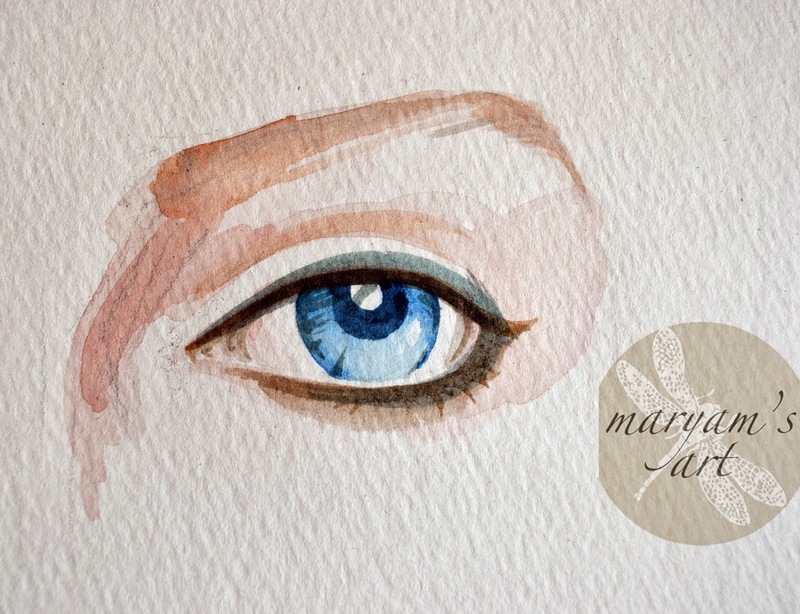 Dilute a bit of blue, mix it with very little brown and add a watery wash above and below the eyes to give some depth. 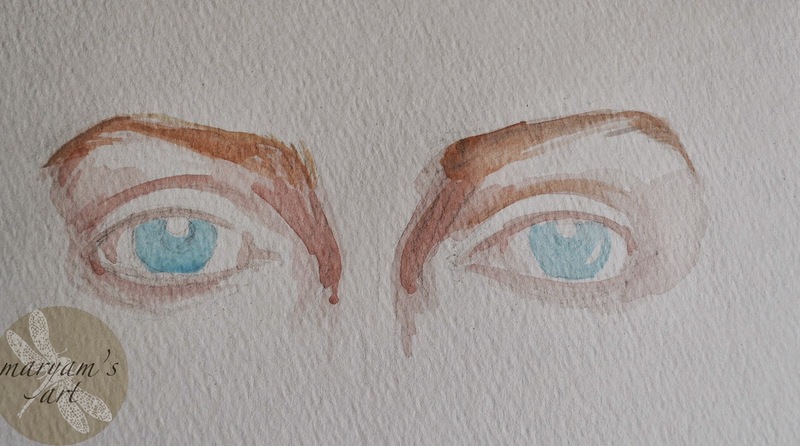 Add a soft wash of raw sienna mixed with some blue around the eye like shown. Blend it right up to the eyebrows while still wet. 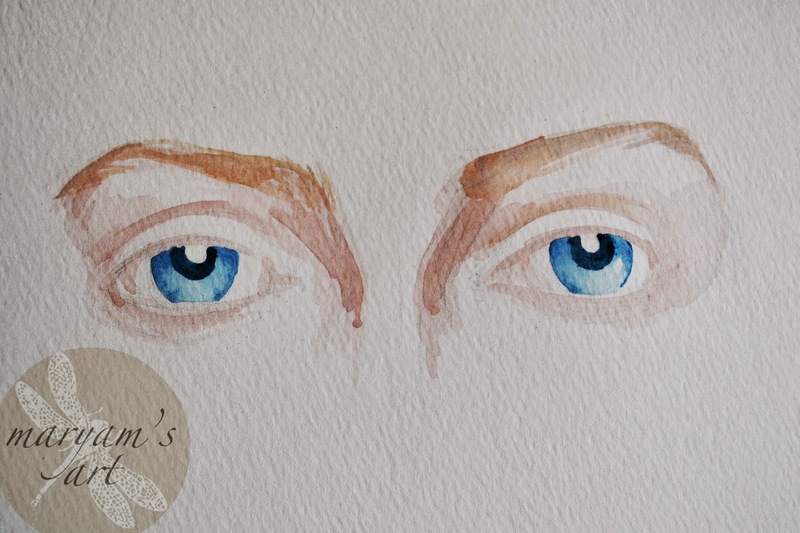 Now darken the eyebrows with a more concentrated (not so watery) brush of the burnt sienna and blue mix, as well the the shadow above the eyelids. Take a thin brush- mix a concoction of brown and black and very carefully but with a loose hand, draw the eyeliner as well as the eyelashes. 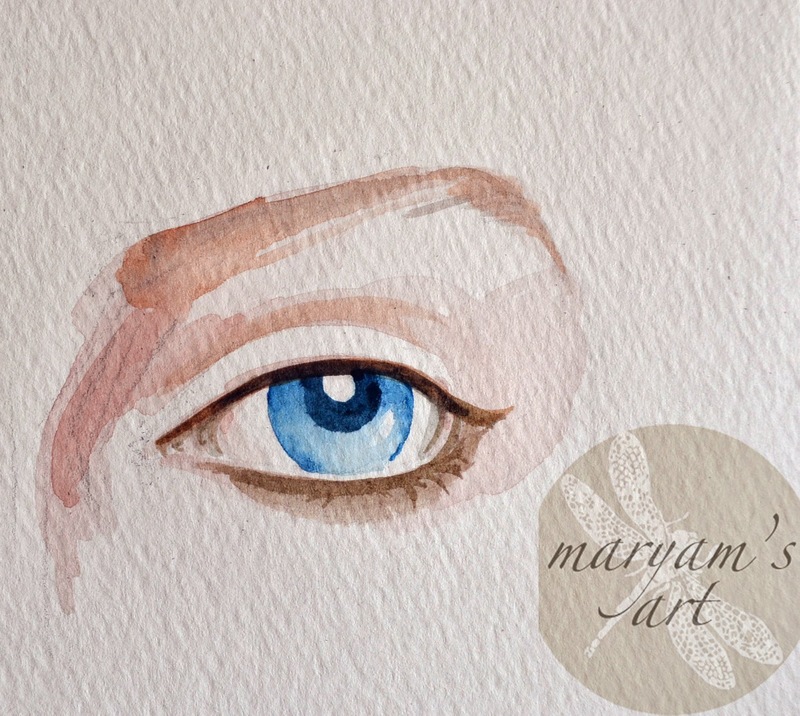 use the same method and steps to make the other eye as well. and voila!! 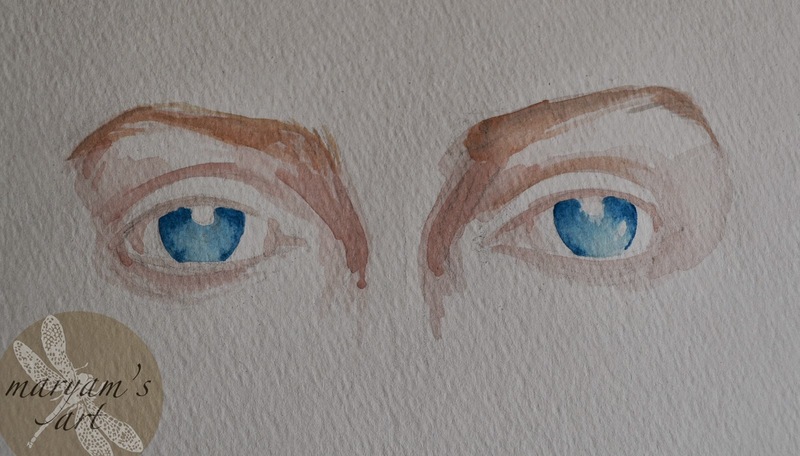 the lovely dreamy eyes are done! 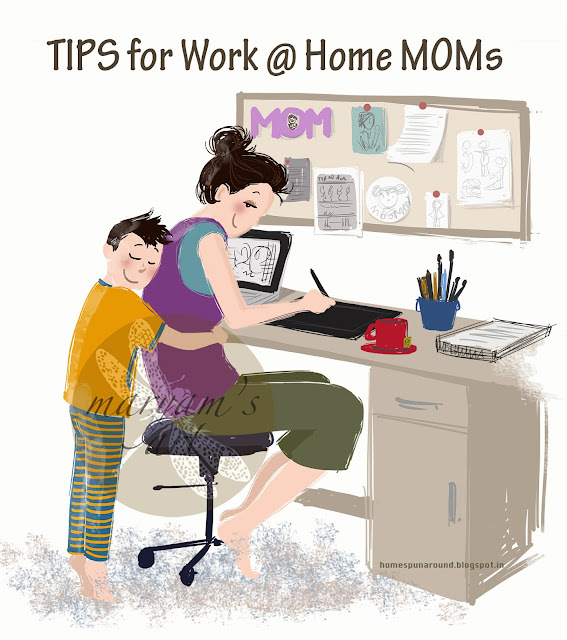 Your tutorial makes it look so simple a procedure. But the moment i take a brush i can feel how wobbly its bristles are n they go here there everywhere when i paint n im like who asked you to switch from color pencils �� great tutorial �� i hope u gimme some tips on handling paint brush. I just cant seem to accept the fact that i can work with set of strands that arent stiff n hard like a pencil nib. 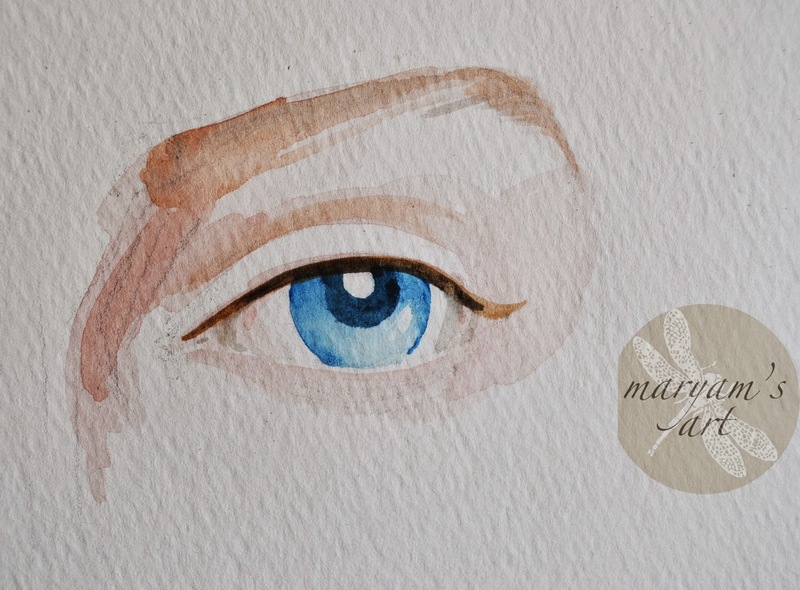 Super cool tutorial, ready to swim in those eyes :) Not sure if I mentioned this before, but your blog header simply rocks Maryam!